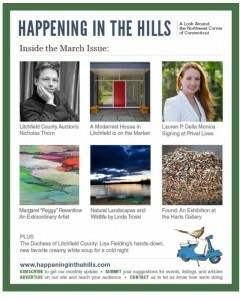 Read about LPDM and Bodies of Work in the March 2016 issue of Happening in the Hills. 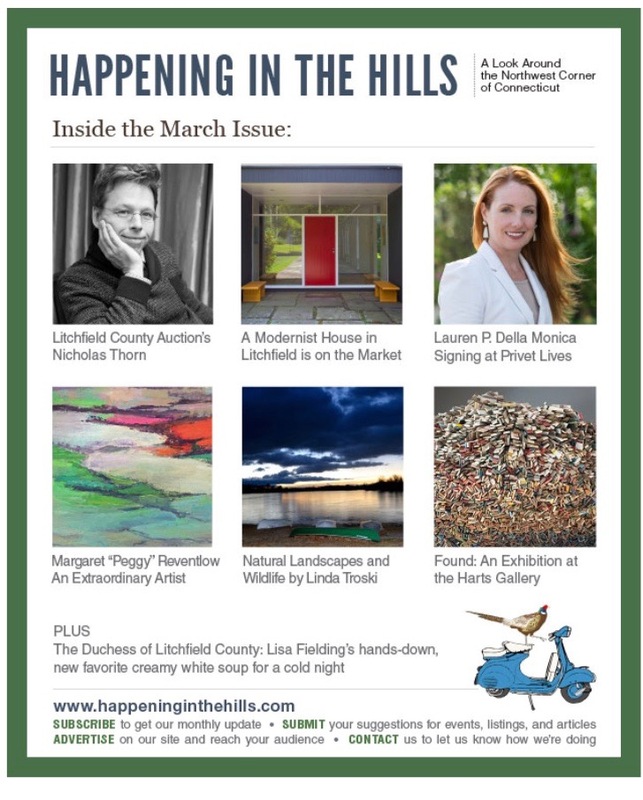 Also included is a piece about a show LPDM recently curated in conjunction with the Cultural Committee of the Oliver Wolcott Library in Litchfield, CT featuring the work of the late painter Peggy Reventlow. That show opens tomorrow evening, March 3, 2016. For more about the artist and the exhibition, follow this link. This entry was posted in Press on March 1, 2016 by Lauren Della Monica.